We were very shocked and surprised at the immense devastation in Japan after the terrible earthquake and tsunami that hit their island. 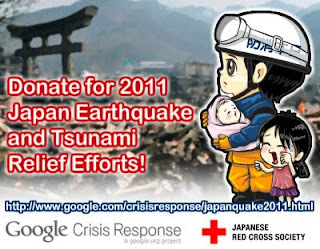 If you are looking for a way to lend a helping hand, please go to Google's site for responding to the Japan crisis and donate generously. Any amount does help in getting our Japanese friends back up on their feet.